On July 17th Aviation Cosmetics Malta was honoured with a visit by the Hon. Minister of Transport, Mr. Ian Borg. 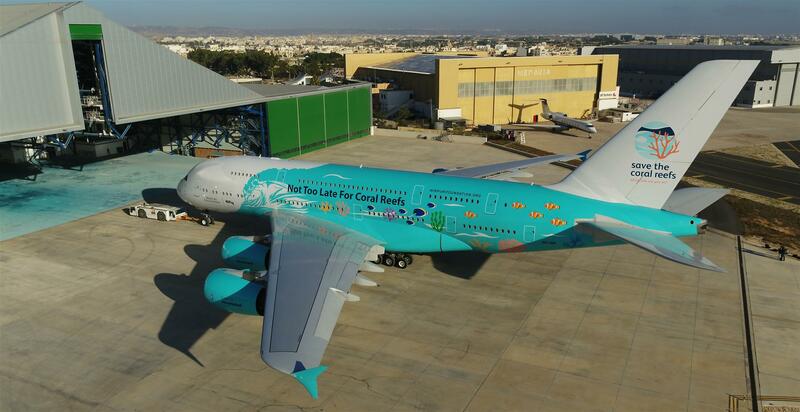 His visit was on behalf of Malta Transport and to participate in a special reveal ceremony to introduce the first Airbus A380 on the Maltese register: 9H-MIP, operated by HiFly. 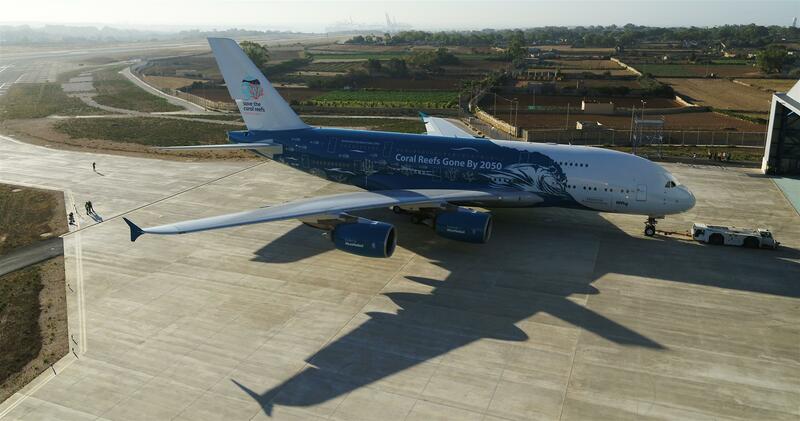 The Mirpuri Foundation ordered a special livery called “Save The Coral Reefs”. A design that involved over 20 different colours to paint.